In the last few years, quality of smartphone cameras has seen a huge improvement. Therefore, a lot of people are happy with their smartphones and don’t have the need for a professional camera. The smartphones are even capable of recording crispy 4K videos with optical image stabilization. However, the built-in stabilizing system is not good enough as your footages are still shaky when you move around. 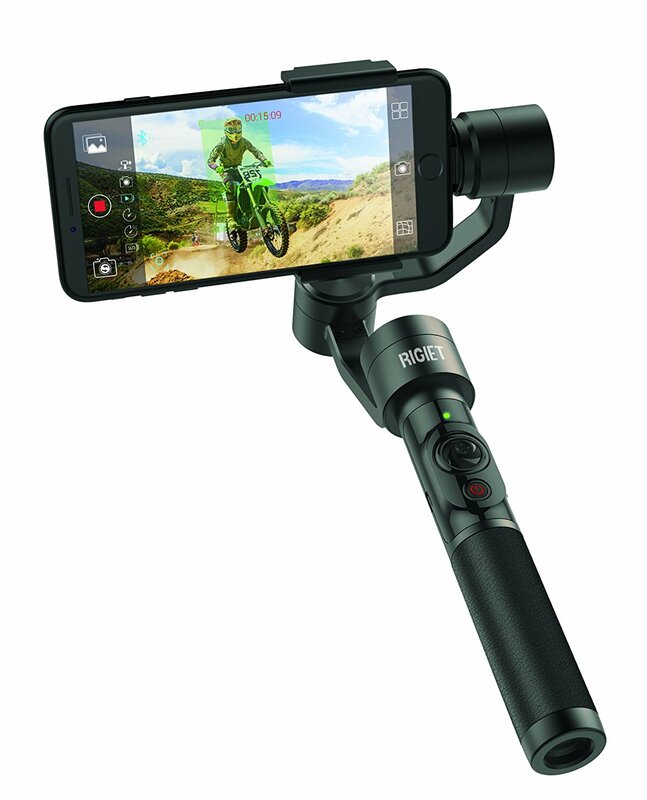 Motorized 3-axis handheld gimbals were born to solve the issue and there are a lot of affordable options on the market. Today, we’re checking out the DOBOT Rigiet. The DOBOT Rigiet can hold smartphones with the width between 56mm to 85mm, that means recent flagship smartphones like iPhone X or Samsung Galaxy phones are supported as well. 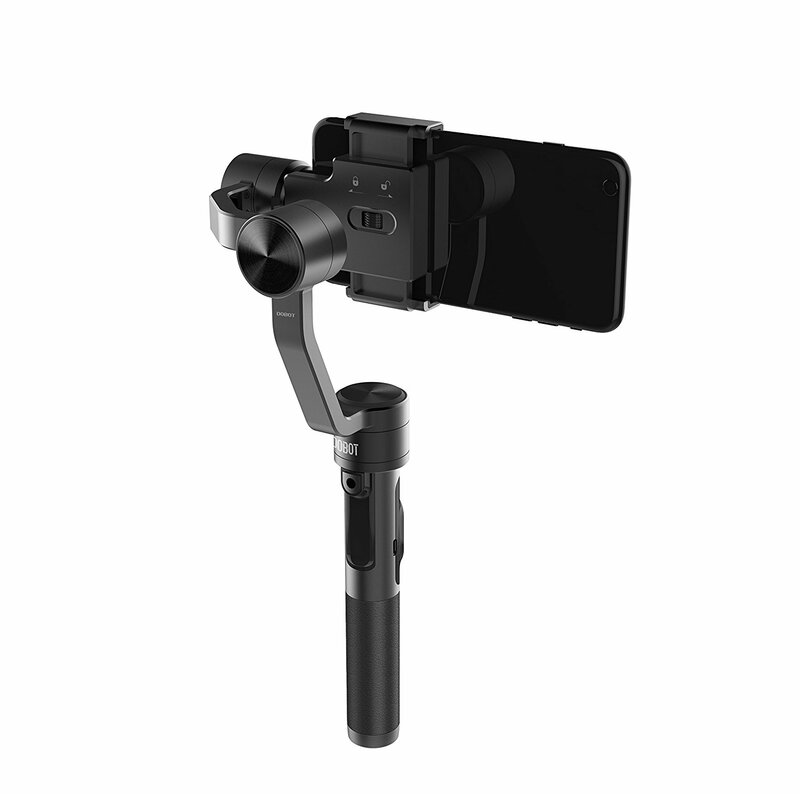 Moreover, it can also be used to stabilize GoPro cameras. I had some time to test the gimbal and was quite impressed with its performance. It has a very modern design with a solid build. You will totally love the all-metal construction and all controls are within your thumb’s reach. The handle is grippy and you can easily hold it for an hour without any problem. Here you can find some buttons like the joystick with a multi-function button and a power button. You can record videos using the camera app on your smartphone, however, you can install the Rigiet app for more advanced features. The app allows you to smart auto-track an object or create motion time-lapse videos. The gimbal features 3 precision motors with the precision up to 0.01 degree, so it can counteract walking and running movement pretty good. Therefore, the videos look very smooth. The product has a price tag of $269 but you can save $50 when purchasing it at the moment. They are running a sale from now until December 31st, 2017. It is shipped worldwide for free but you might have to pay for tariff when it’s imported to your country.